Contempt of court can arise when a party fails to obey an order to appear for a hearing or fails to make a payment on a judgment when they are clearly able to do so. Client is going to refuse to attend a trial, even though they have received a summons to appear. Creditor is threatening to put client in jail unless a debt is paid. Judge has told client that they could be jailed if a payment order is not obeyed. 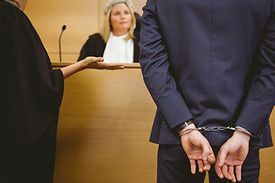 Client was served with a notice to appear in court, and the bailiff said the client could be arrested and jailed if they do not appear at the hearing. Client asks what will happen if they fail to appear for a court hearing for which the client has been given a notice saying that they must appear. Client asks what will happen if they refuse to make payments on a judgment, even though there is an ability to pay and an order to make instalment payments. Imprisonment for debt was abolished in British Columbia well over a hundred years ago. The principle that a person cannot be imprisoned for debt is specifically stated in s. 51 of the Court Order Enforcement Act. However, a person can be arrested and at least temporarily imprisoned for behaviour that is considered to be in contempt of the legal process. There are provisions in the Civil Resolution Tribunal Act, the Small Claims Rules and the Supreme Court Civil Rules that govern contempt in collection matters. Failure to obey an order to appear for a hearing when there has been proper notice of the hearing. Failure to make a payment on a judgment when the debtor is clearly able to make payment. A person who fails or refuses to comply with an order of the tribunal is liable, on application to the Supreme Court, to be punished for contempt (Civil Resolution Tribunal Act, section 60). Under the Small Claims Rules, there are various provisions for arresting someone who has not obeyed a court order or who has not appeared at court as required in a summons. Basically, failure to obey the order or to appear is considered contempt for the court process, and the Rules allow for the person in contempt to be arrested, brought before the court, and, in some instances, imprisoned. The following discussion of the provisions in the Small Claims Rules focuses on the contempt and arrest process, not the purpose of the various hearings described. Payment hearings assess a debtor’s ability to pay and consider whether there should be a payment schedule. A debtor can be ordered to attend such a hearing (if, for example, they attended a trial and a payment hearing was ordered for a later date), or served with a summons to attend the hearing. Under Small Claims Rule 12(15), a creditor can request that the court issue an arrest warrant if the debtor did not attend a payment hearing they were ordered to attend or were served with a summons to attend. Default hearings are held when a judgment debtor has not obeyed a judgment repayment schedule previously ordered by the court (such as at trial or a payment hearing). Under Small Claims Rule 13(9), creditors can ask the court to issue an arrest warrant for people who do not attend default hearings that they were ordered to attend or were served with a summons to attend. There is a second contempt-related process possible at default hearings: imprisonment for failure to obey the judgment repayment schedule. This can apply if the court decides that the debtor’s explanation, or lack of explanation, of why the payment schedule has not been obeyed is not satisfactory and amounts to contempt of court. Under Small Claims Rule 14, a person who is ordered to be arrested for contempt is initially notified with an arrest order, and not actually arrested. The person has seven days to arrange with a court registrar to attend court voluntarily. If the person fails to do this, a sheriff or peace officer can arrest the person after that time. If the person is arrested, they must be brought to court right away. The person may be released immediately, with the court making an order that they attend on another date to deal with the matter while the creditor is present. If a warrant for imprisonment is issued at a default hearing for a debtor’s unreasonable failure to pay on a judgment, the person can be arrested within a 12-month period after the order is made. When the debtor is arrested, they can avoid imprisonment by paying the amount shown owing under the order. Rule 15(7) specifically provides that imprisonment under the Small Claims Rules does not cancel either the debt or any right of the creditor to take steps to collect it. In addition to this remedy, the judge can make an order on the merits of the case (for example, dismissing the claim of a contemptuous plaintiff, or dismissing the reply of a contemptuous defendant). Under the Supreme Court Civil Rules, there are various provisions for arresting someone who, among other things, has not obeyed a court order or who has not appeared at court as required in a summons. Basically, failing to obey the order or failing to appear are considered contempt for the court process, and the Rules allow for the party in contempt to be arrested, brought before the court, and, in some instances, imprisoned. The following discussion of the provisions in the Rules focuses on the contempt and arrest process, not the purpose of the various hearings described. Rule 22-8 governs the contempt process. Being in contempt of a Supreme Court order can be punished by imprisonment or a fine or both. In addition, the judge can make an order on the merits of the case when there is contempt (for example, dismissing the claim of a contemptuous plaintiff, or dismissing the reply of a contemptuous defendant). The subpoena-to-debtor process (an inquiry into the income, expenses and assets of a judgment debtor) under Rule 13-3 is similar to the payment and default hearing process under the Small Claims Rules. The subpoena-to-debtor process has specific (and very detailed) rules for arrest for failing to attend a hearing as required, and for unreasonably refusing to pay on an instalment order that may have been made by the court. These are set out in some detail in Rules 13-3(12) to 13-3(26). Gather and confirm all information on the financial circumstances of the client, including income and expenses, assets and debts, and future prospects for changes in income. Obtain copies of all documents relevant to the creditor’s claim, including correspondence and legal documents. If the client does not have the legal documents, you can obtain copies from the court registry. You must appreciate that there may be some urgency to the matter. Ensure that the client has not, for example, missed a required court hearing date, or missed a payment under a Small Claims Court payment order or under a Supreme Court subpoena to debtor. While many clients may be unhappy with the court process, relatively few act in contempt of it. You may need to explain the contempt process to clients who ask “what if” questions or to clients who openly admit that they are going to act in contempt of the court process. Only rarely will you be faced with an act of contempt for which the client is facing arrest or imprisonment. In those instances, it is probably more likely that the client has been in contempt out of ignorance, fear or frustration, rather than open defiance of the process. You may be able to facilitate a quick resolution by explaining the client’s responsibility to them and helping them comply with the requirements of the court process. However, if there is an actual defiance of the process, you may only be able to explain the repercussions to the client. If the client continues to act in a contemptuous manner, you may be limited in what you can do, or you could consider involving a lawyer in the matter. This page was last edited on 13 October 2018, at 09:45.